What is the Advent Tea all about? Since the "turn of the century" the Advent Tea has been a beautiful and meaningful tradition at St. Paul's, to open the season of Advent (the time in preparation for Christmas). 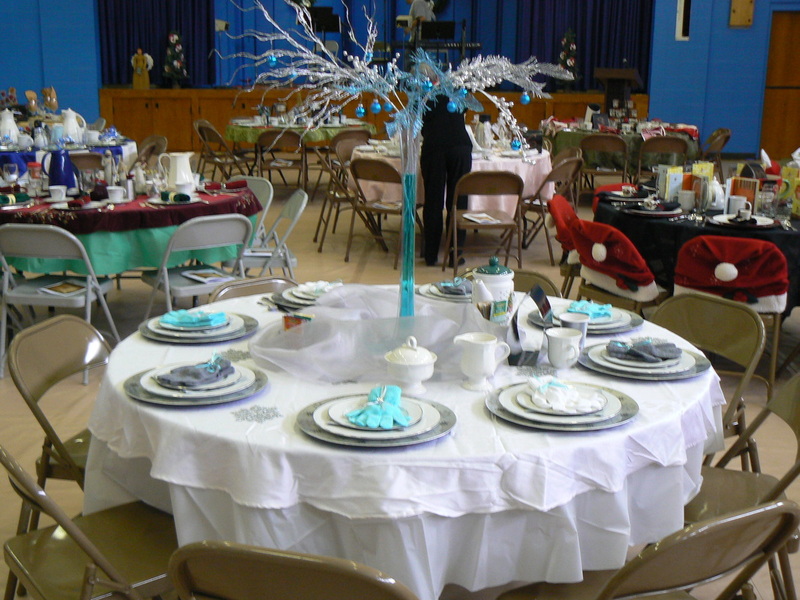 Sponsored by the Women's Ministry, the catered luncheon (including dessert & tea!) is open to members and their guests from the community, and usually includes a devotional theme, speaker, drama, musical performance, etc. that sets the tone of worship away from the louder call of stress and busyness. 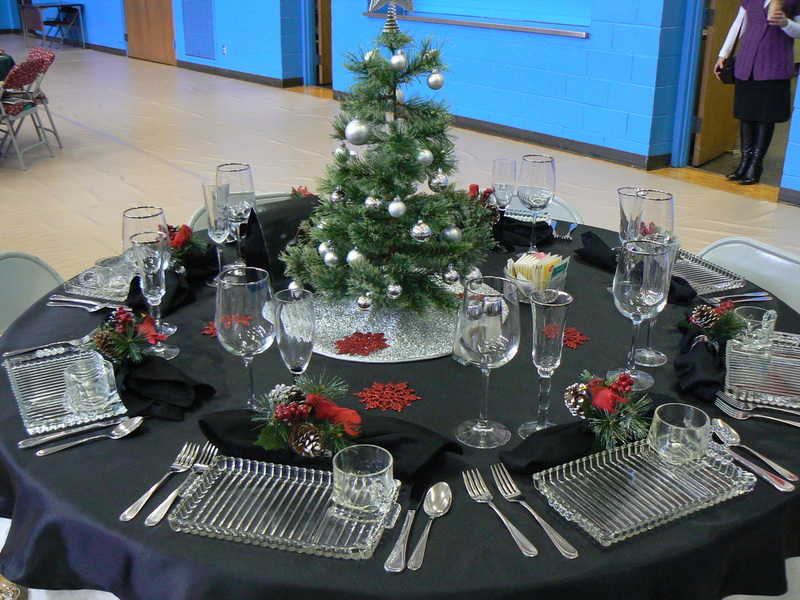 Men of the St. Paul's volunteer to serve the ladies at round tables in the gymnasium—doesn't sound festive, perhaps; but the gym is always transformed because each table is decorated by a Hostess who lends her own special creativity to each setting. 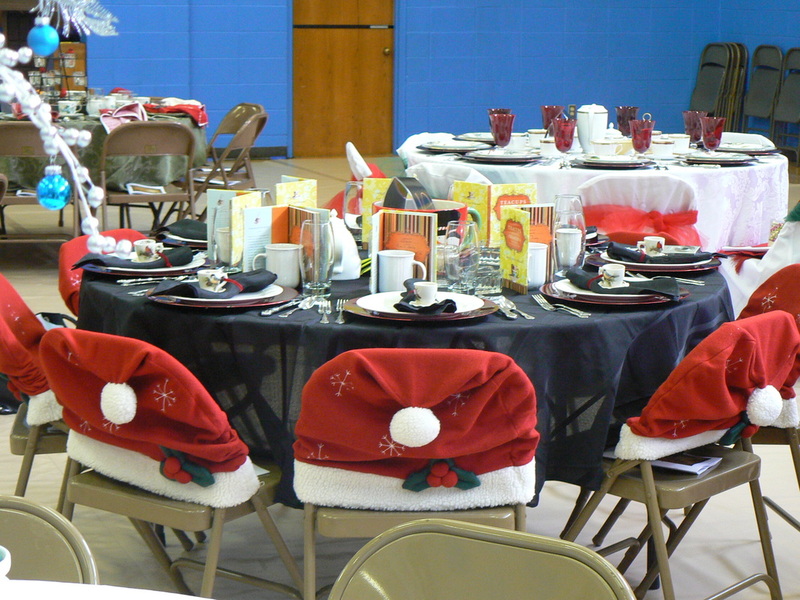 There is time set aside at the start for homemade punch, and viewing all the different decorating ideas at the various tables. Some are formal, some are simple; some rustic, and some bright. 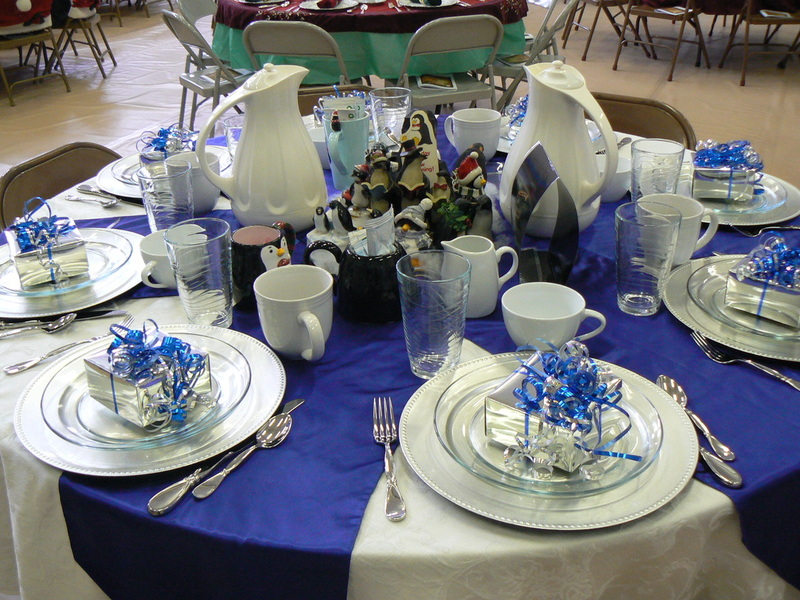 Each guest always walks away with the satisfaction of a delicious meal over pleasant conversation; ideas to spark menus or decorating at home, a favor to remember the day, and a devotional thought to ponder. You don't have to hostess a table or be invited—this is your opportunity to share the "Light" of the season with grandmothers and teens, unchurched neighbors, or a few dear friends. Get your tickets and reserve your quiet time to make Jesus the focus of Advent. Still have questions? Contact Zina Bachert.